With all the luxury available to us these days, it is impossible to not notice the deterioration in the state of health of most of the people. This is also a consequence of the busy lifestyle one is a part of. And, of course, we have our smartphones to the rescue. There are at least a couple of thousand, if not a million, fitness apps out there on the market. Some of them are paid some are free while some offer limited services for free and require a subscription in order to access premium content. In this ever-growing storm of fitness apps, what then is the best choice? What is that one app which can take care of most of your fitness needs without being a burden on you? Well, we can’t say about others, but there is one app which does fit the bill here. And, that is Google Fit, a fitness app from Google. Google’s own solution the fitness app madness is what you would call Google Fit. It was announced back in 2014 and has come a long way since then. Also, after the app’s reiteration in 2018 users get better UI and functionality (more on that later). 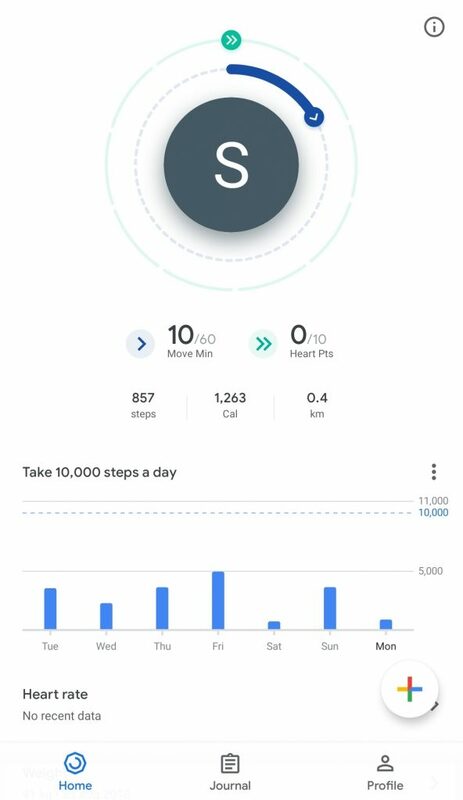 Google Fit mainly tracks activity using the devices in-built sensors and GPS and acts as a bridge between multiple fitness apps and data from the sensors. 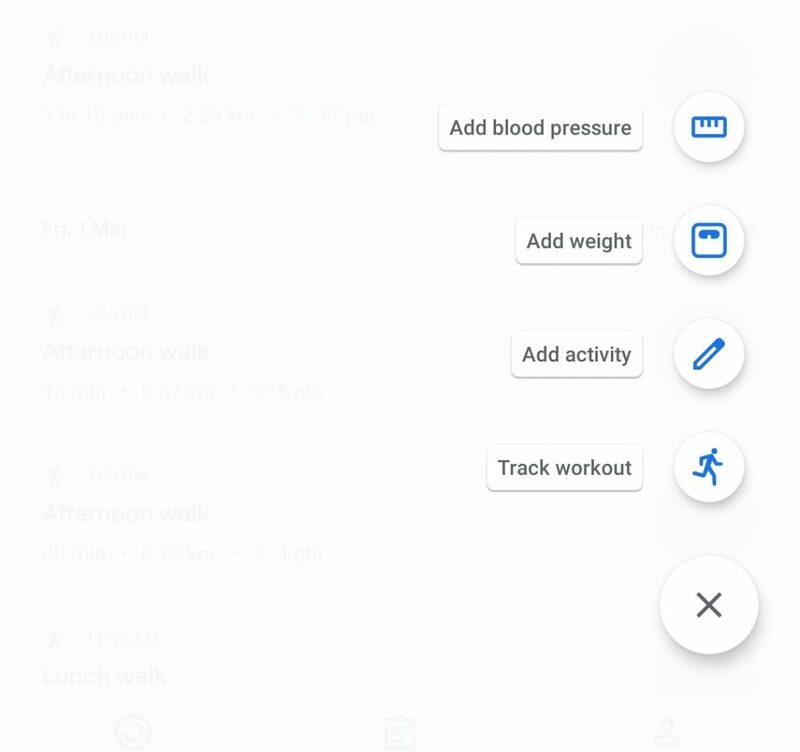 You can use Google Fit on your Android or iOS device, but, you can also track activity from Google Fit’s web interface (that is pretty nifty). Chances are that Google Fit might already be on your Android device, but, if not, then you can easily download and install it from Play Store. The same goes for iOS users where they can download and install Wear OS app from the App Store. The catch is that in iOS devices, Google Fit is a section in the Wear OS app whereas it is an entire app for Android devices. But, the functionality doesn’t change. You get all the general info such as steps walked, distance covered, the time taken, etc. One nice addition in 2018 was that Google Fit now recommends activity goals based on the recommendation from the American Heart Association and the World Health Organization. The World Health Organization recommends that adults should do at least 150 minutes of moderate-intensity or 75 minutes of vigorous-intensity physical activity in a week. It can also be any equivalent combination of both. Google Fit awards Heart Points and Move Minutes for physical activity. For a moderate activity done for a minute, you get one heart point. The weekly recommendation of physical activity by WHO is in the form of a game via the heart point system. This works as an encouragement to meet the goals and stay healthy. One of the best features of Fit is its ability to share its data. The data which Google Fit collects and compiles is easily shareable with other fitness and food tracking apps. This allows you to get away without multiple app installations for every single activity. You can see the list of all the apps which work with Google Fit in this Google Play link. 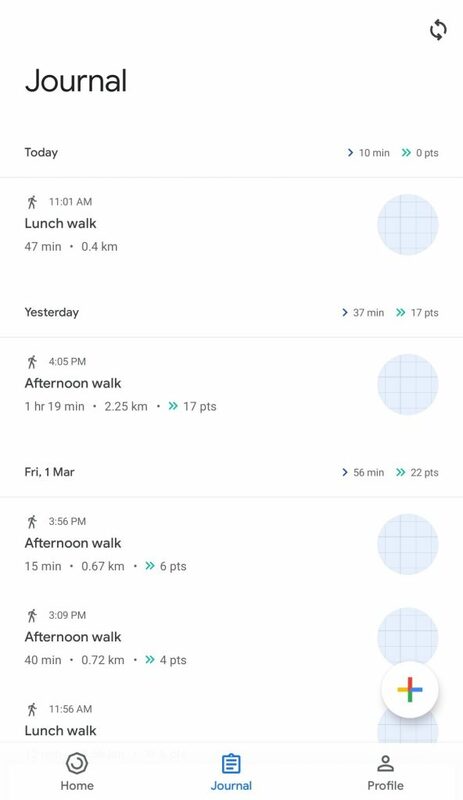 It is not really difficult to use Google Fit in your Android smartphone. 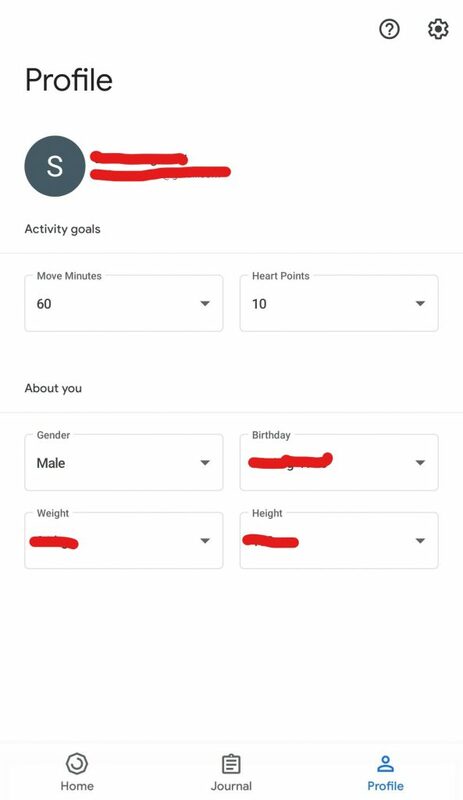 If it is your first time using the app, you would need to add some basic info about yourself such as Gender, Birthday, Weight, and Height. Don’t worry if you make a mistake as you can change them later in the Profile section of the app. The home screen of the app greets you with your first name’s initial in a big circle and two progress circles around it. The inner circle with the blue progress arrow indicates move minutes. And, the outer circle with the green arrow indicates heart points. Once you reach your goal for the day, the arrows would move in a complete circle. You can go beyond your daily goal and the arrow would keep track of that too. Below the circle you would find information like step count, calories burnt, and distance traveled. Further down below is your steps goal for the day. You can edit it as you like but Doctor’s recommend to set it to 10,000 steps a day. All of this is available on your home screen of the app. When you go to the next section, you can see a detailed description of the physical activities you have taken part in during the day. Hence, the apt name for this section, Journal. Some of it gets logged in directly such as walking and cycling. However, you would need to separately add specific exercises and activities. There are a few options here. You can add blood pressure, add weight, add an activity which is more like a custom activity which requires you to input various data like time of the activity, effort in terms of move minutes and heart points, calories burnt, and others. However, there are various exercises already present in the database and you can add these by the track workout option. Last but not least is the Profile section which lets you edit your profile. It is pretty straight forward and lets you change things such as Gender, Date of Birth, Height, and Weight. You can also easily change your fitness goals such as move minutes and heart points required per day from this section. Fit combines an activity tracker, pedometer, and a heart rate counter into one package. It also allows you to log and monitor this data over time. It is also helpful as Fit syncs your data and stores it in your google account. This makes it convenient to access it again if you change smartphones in the future.